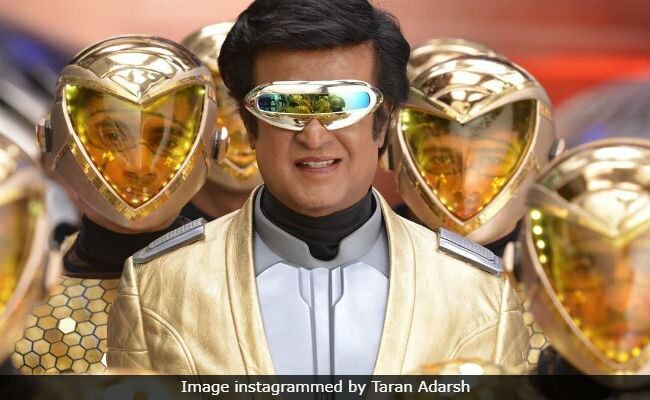 Rajinikanth said: "I need to thank audiences across the globe for the success of 2.0"
After the second weekend, the Hindi version of 2.0, starring Rajinikanth and Akshay Kumar, has emerged as the fourth highest grossing film of 2018, reports Box Office India. After 11 days, the S Shankar-directed film has made nearly Rs 164 crore and it is behind only Sanju (Rs 342 crore), "Padmaavat" (Rs 302 crore) and Race 3. However, the Box Office India report also stated that 2.0 may cross the lifetime collection of Race 3 (Rs 166 crore), starring Salman Khan, on Monday. "The film is holding well across the country... The film had majority of the single screens in week two as Kedarnath had a limited single screen release. The second weekend is at par with the new release Kedarnath," stated the Box Office India report. 2.0 crossed the Rs 500 crore mark worldwide at the end of the first week. Speaking to the media at the audio launch of his work-in-progress film Petta, Rajinikanth thanked his fans and the team of 2.0 for the film's success. "I need to thank audiences across the globe for the success of 2.0. The entire credit for the victory goes to director Shankar, producer Subaskaran of Lyca Productions and the technicians," news agency IANS quoted him as saying. 2.0 is the sequel to Rajinikanth's Enthiran, also directed by Shankar. In 2.0, Dr Vaseegaran and his robot Chitti (both played by Rajinikanth) work together to defeat a common enemy Pakshirajan, played by Akshay Kumar. 2.0 also stars Amy Jackson, Adil Hussain and Sudhanshu Panday.